Does the public training calendar not mesh with your calendar? Do you like taking training courses “off hours” or when you have down time on a project? Do you want the ability to stop/start/rewind and come back at any point during your training? If you answered yes to any of these questions, then on-demand training is right for you. RTM Consulting has recorded our most popular courses and made them available for training on your schedule and time frame. 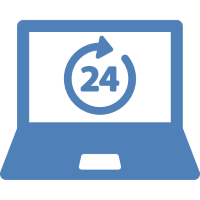 Available with 24×7 access from purchase, on-demand training provides a video recording of the materials typically presented by a live instructor. As with all of our training courses, completed on-demand training videos entitle you to earn 1 PCU (Professional Certification Unit) for RTM Consulting’s Resource Management Certified Professional (RMCP)® program and/or 1 PDU (Professional Development Unit) per the PMI organization. On-demand training videos are accessed through RTM Consulting’s learning management system and are available on any device that is browser enabled – computer, tablet, smartphone, etc. The Introduction to Resource Management course is designed to provide foundational competency development for professionals new to resource management that work in organizations that focus on project-based work. Participants primarily work in Professional Services Organizations or Internal IT Organizations. This course is $399 for 90-day access. Succeeding as a Consultant can be challenging. Most companies invest a lot of time, money and effort on training their consultants on products and technology but not on some of the fundamental skills every consultant needs. This course is designed to provide foundational competency development for consultants and is $299 for 90-day access. The Advanced Consulting Skills Development training focuses on enhancing the consultative skills of consulting and professional services personnel to complement their product, business, and technical knowledge. This training will help your technologists become better consultants. Modules are $99 for 90-day access and may be purchased individually or as a bundle. Purchase all 6 of the modules below together for $499 for 90-day access.